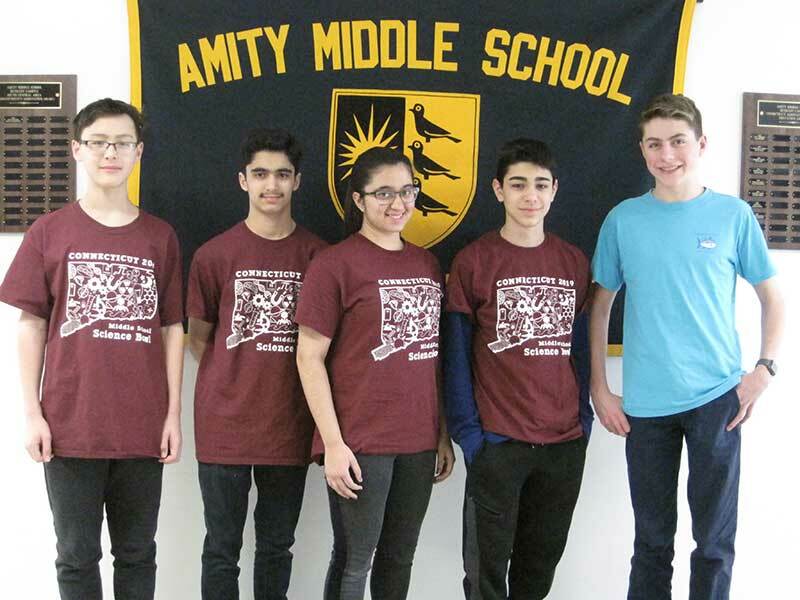 Nine students from Amity Middle School Bethany Campus and their coach attended the Math Counts Chapter Competition at Yale University on February 3, competing along with 110 students from 14 other schools. 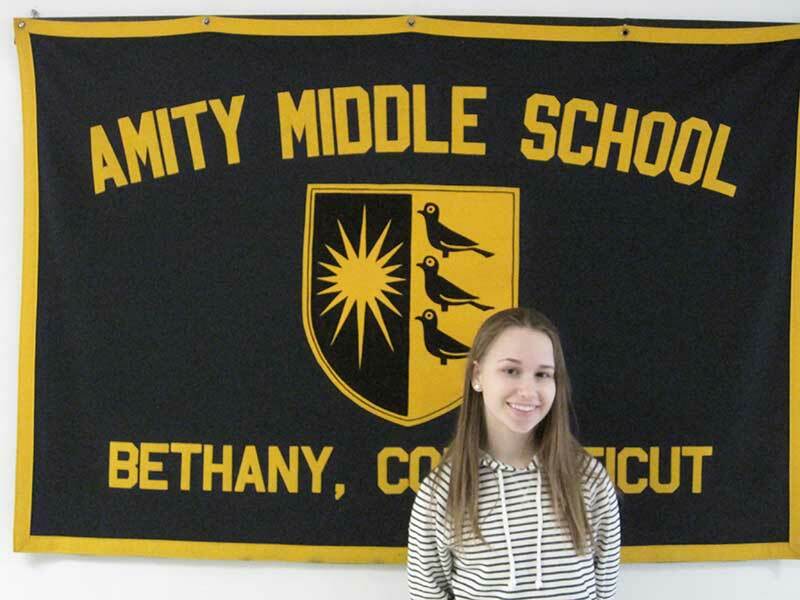 Math Counts is a national, sixth, seventh, and eighth grade math competition program. 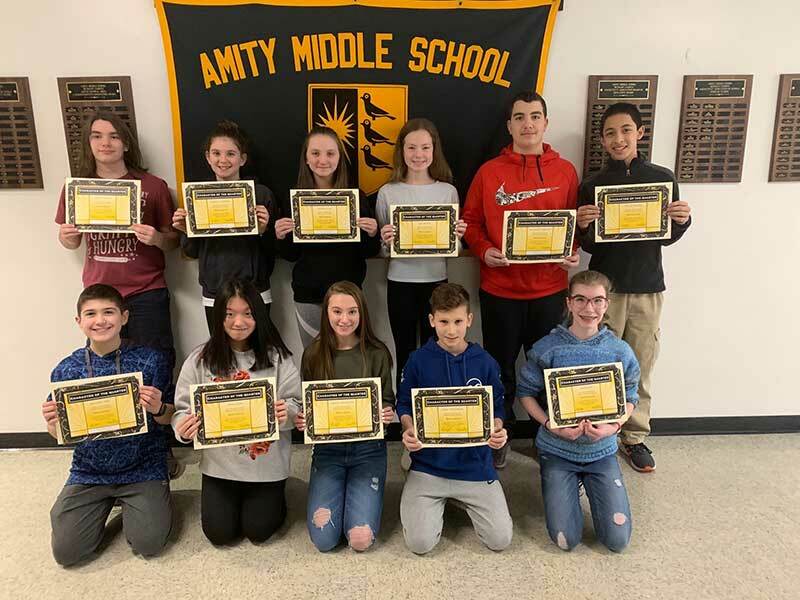 Since the beginning of the school year, Amity Middle School Bethany students have gathered to practice math competition questions with their coach, Andrea Fleischman. The competition consists of three rounds in which students compete to earn points for their schools both as individuals and as teams. Congratulations to (pictured left to right): Henry Yang, Piyush Bahel, Allen Liu, Luhai Tang, Anushka Acharya, Zoe Fleischman, Rebecca Huang, Ming Zha, and Adam Florkiewicz. From the chapter level of competition, the top 25% continue on to participate at the state level. Special congratulations to 7th graders, Piyush Bahel and Henry Yang, for qualifying for the Math Counts State Competition. States will be held at the University of Hartford on March 10, 2018.